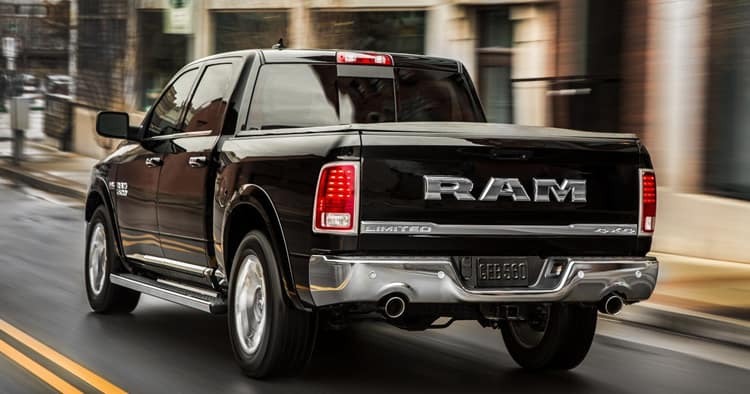 With a redefined exterior to reduce weight, a redesigned chassis for strength and durability and a choice of engine and transmission, the 2018 Ram 1500 offers a smooth ride with plenty of get-up-and-go when it’s needed. 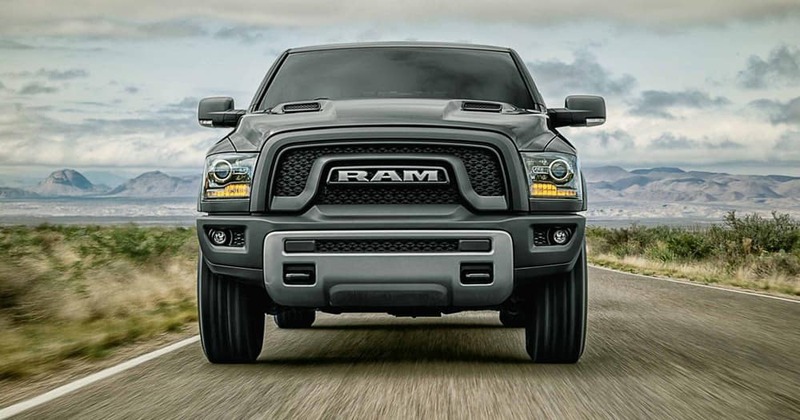 The 2018 Ram 1500 sports a slimmer look minus any square or rectangular styling, expressive hexagonal grille, LED C-shaped headlights, an aerodynamic look to the bumper, which has a twin-exhaust system integrated into it, front and rear fascia, and wider fenders. Laramie, Laramie Longhorn, and Limited. The 1500 is available with a Regular, Crew, or Quad Cab, and choices in box sizes including 5 feet 7 inches, 6 feet 4 inches, and 8 feet, plus a variety of production paint colors. 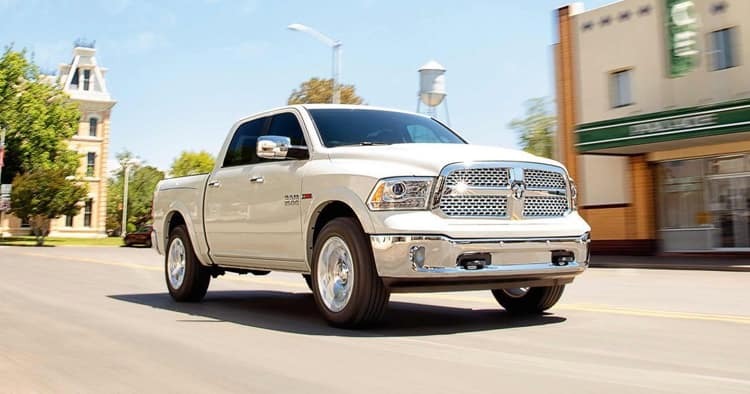 The base engine for the 1500 features a 3.6-liter Pentastar Flex Fuel V-6 engine with 305 horsepower under the hood and 269 pound-feet of torque. There’s also the 3.0-liter turbodiesel with 240 horsepower and 420 pound-feet of torque, a 5.7L V-8 Hemi with 395 horsepower and 410 pound-feet of torque. Trucks are equipped with a six-speed or eight-speed automatic transmission. The 2018 comes with a redesigned high-strength-frame chassis and steel body with strategically placed aluminum on the hood, roof, and door to reduce vehicle weight and ensure durability. It also includes an improved powertrain and a significant update to its heavy-duty performance capabilities. The EPA gas mileage rating for the V-6 is 17 mpg in the city and 25 mpg on the highway when equipped with rear-wheel drive and 16 mpg in the city and 23 mpg on the highway when equipped with four-wheel drive. The 3.0-liter EcoDiesel is rated 22/29 mpg when fitted with rear-wheel drive and 19/22 with four-wheel drive. The 5.7-liter V-8 comes with 15/21 with four-wheel drive and 15/22 with two-wheel drive. Quad-Halogen headlamps, 40/20/40 split-bench vinyl seats. 20-inch chrome-clad wheels, 40/20/40 split-bench front seating, and 60/40 split-folding rear seating. ParkSense and Front and Rear Park Assist. Exclusive Standard Active-Level™ Four-Corner Air Suspension. Heated fronts seats and a heated steering wheel, 20-inch polished and painted aluminum wheels, halogen projector headlamps. 20-inch black aluminum wheels, Mopar® Performance Cold Air Intake and Cat-Back Exhaust. Leather front bucket seats, real wood accent interior. Keyless Enter ‘n Go™, Class-Exclusive Active Level™ Four-Corner Air Suspension, full-color 7-inch digital driver display, Class-Exclusive Available RamBox® Cargo Management System, leather high-back bucket seats, premium center console, and an EcoDiesel V-6 engine available for the Limited. In safety tests by the Insurance Institute for Highway Safety, the 1500 received a Good rating, which is the highest score, for head restraints and evaluations of seats. Standard features include front and rear parking sensors and a rearview camera system. The 1500 is not equipped with an emergency automatic braking system or a collision warning system. 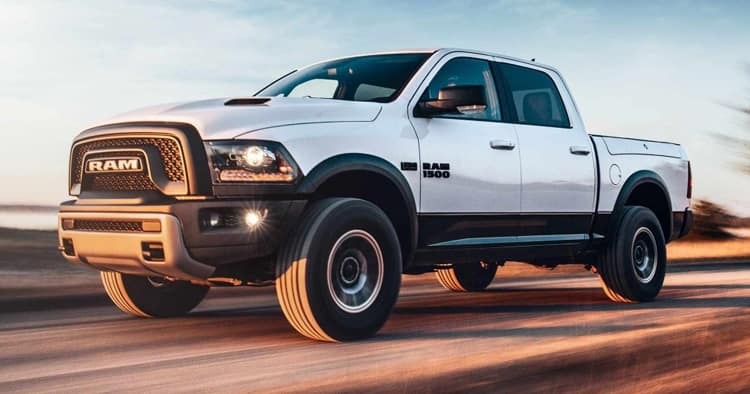 The 2018 Dodge Ram 1500 is designed with power and performance that blends smoothly with its sleek exterior body construction and stylish interior features. 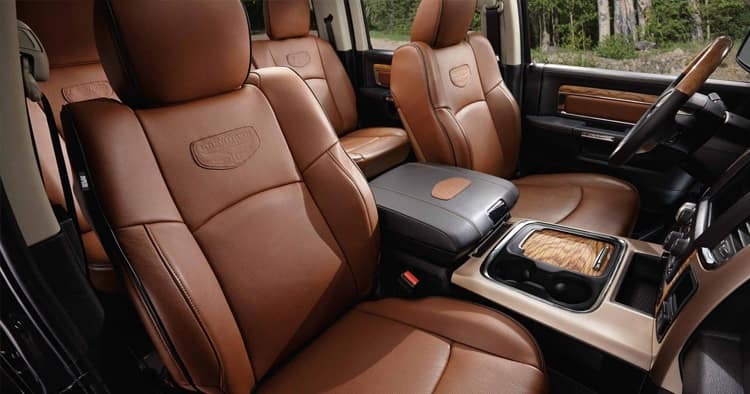 For comfort, convenience, and competitive pricing, the 1500 has all that and more. 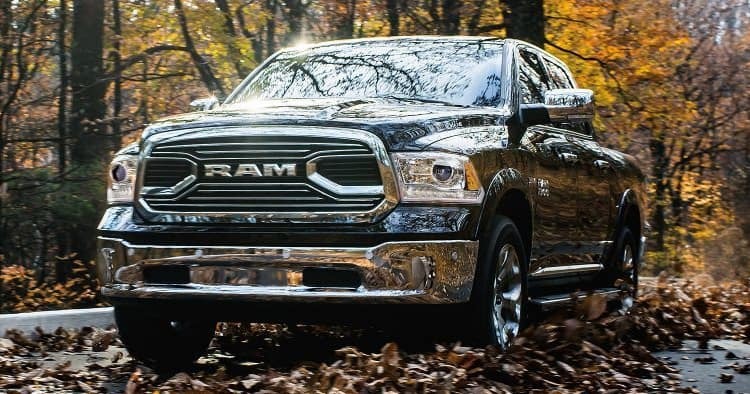 Get behind the wheel of the 2018 Ram 1500 and schedule a test drive today!